The Graduate Certificate in Teaching English to Speakers of Other Languages (TESOL) is a specialist qualification for people who want to teach English to speakers of other languages in Australia or overseas. Current primary or high school teachers who want to gain additional ESL qualifications will also be interested in this qualification. 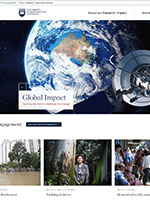 The UOW Graduate Certificate in TESOL offers sound theoretical foundations and extensive practical skills that address the broader aspects of education and training. In addition to exploring teaching methods and common grammar issues, you will also undertake a supervised professional experience placement in an ESL classroom. This course has three core subjects and one elective subject. You will have the opportunity to progress into the Master of Education (TESOL) or the Master of Education Advanced (TESOL) if you are interested in further study, with credit for all of the subjects (24 credit points) completed in the Graduate Certificate. This Graduate Certificate is flexible, allowing you to study online, in the classroom, or a combination of both. A three year degree, a teaching qualification or appropriate equivalent professional experience. (The Graduate Certificate in TESOL assumes an undergraduate background and some practical classroom experience in TESOL.) It provides the formal theoretical component and supervised practicum experience required in a formal accredited teaching qualification. Overseas Health Cover (OSHC) must be purchased for the proposed duration of the student visa if studying this program on campus. For information regarding the OSHC fees applicable, please refer to the international fees website. 1 Have fundamental knowledge of language and its use, principles of language learning, approaches to teach English to Speakers to other languages. 2 Have expert, advanced cognitive, technical and communication skills to select and apply methods and technologies to: a) Assess learners’ language needs; b) Analyse language demands; c) Design, plan and implement programs of instruction for English language learners. 3 Demonstrate capacity to apply sound TESOL pedagogy to support second language learning development. Students must complete a total of 24 credit points in accordance with the table below. It is recommended that VET, ELICOS and DE teachers complete EDGT983 as an elective if they wish to qualify as ESL teachers. * Elective subjects may be cancelled if minimum enrollment numbers are not met. The University of Wollongong is recognised by the Department of Education (DE) as a provider of EAL/D qualifications for primary/secondary trained teachers. DE accreditation will be dependent upon subject choice. UOW’s School of Education has a reputation for practical programs and flexible learning strategies that produce highly employable educators. It is founded on the expertise of our staff and our strong ties with community organisations and government bodies.